Görlitz does not only have old and beautifully restored houses to look at. Off the beaten track, there are numerous places and offers using the city’s open spaces in an innovative way and creating a fresh lifestyle. Let’s go and discover! Coloured bicycles are available free of charge at different rental stations in town. At the stations, where you can rent or return the bikes, you will get „Plan B“, an alternative city map recommending routes and giving tips to discover the young scene in Görlitz. The map indicates all the rental stations. In addition, it refers to many interesting places off the beaten tourist track. Here you find the young Görlitz with its secret places and initiatives worth seeing. At this old industrial wasteland in Görlitz-Weinhübel, an alternative place for leisure and culture activities was and is being developed, offering concerts, film performances, markets and workshops. You can try new things in creative workshops like the druckBar - a printing workshop - or you can play beach volleyball and paintball. Further projects are permanently being developed. Located at the site of the old yeast factory, Rabryka is a place to do handicrafts, to try and to test things. Not only for young people, but for all, who want to join. It is about community-orientated city planning. There are workshops and events, open spaces for youngsters, there is support to develop your own ideas and to put them into practice. It is about exchanging, sharing and repairing. The club has been a meeting point and a place for cultural events already since 1994. Concerts and DJ events, readings and film performances as well as theme nights take place regularly, organised on a voluntary basis. Apart from their studies, the students of the Zittau/Görlitz University for Applied Sciences are engaging leisure and culture activities. For example, they organise the annual Campus Open Air lasting for several days. The student club Die Maus is located directly in the student hostel. The programme: parties und bar service. 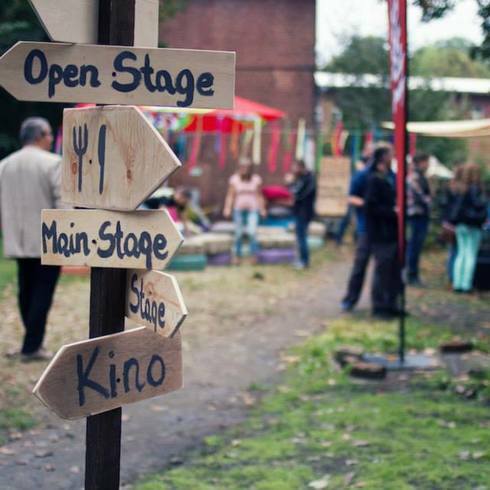 Further events lasting for several days are held regularly, such as the Future Visions (Zukunftsvisionen), the Campus Open Air, the International Street Theatre Festival ViaThea or the Fokus Festival.